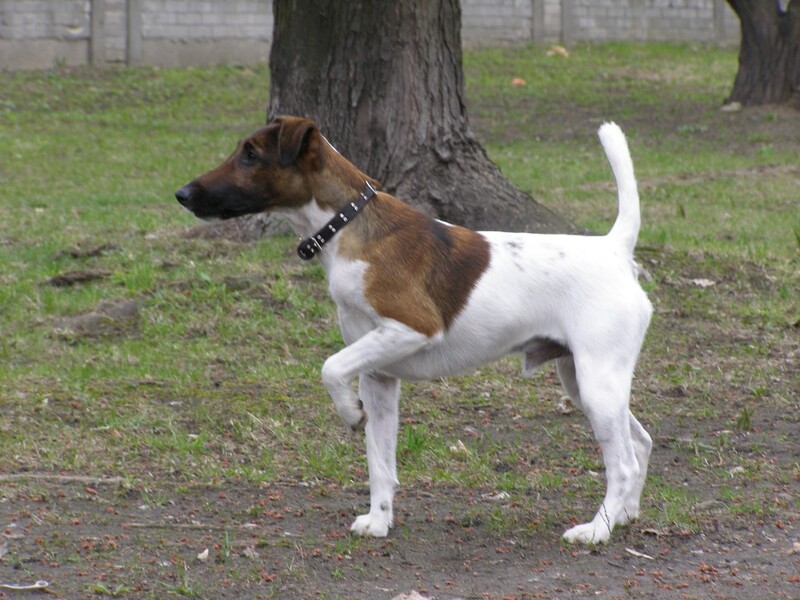 As with many other breeds (and especially with Terriers), they can be difficult to train, and they can be inappropriate for households with young children and/or other pets. However, if training is effective, and especially if they are socialized early on, they can be wonderful around them. 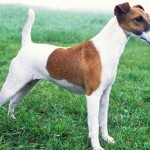 The first known appearance of this dog was in 1790 when an artist painted a portrait of his dog. 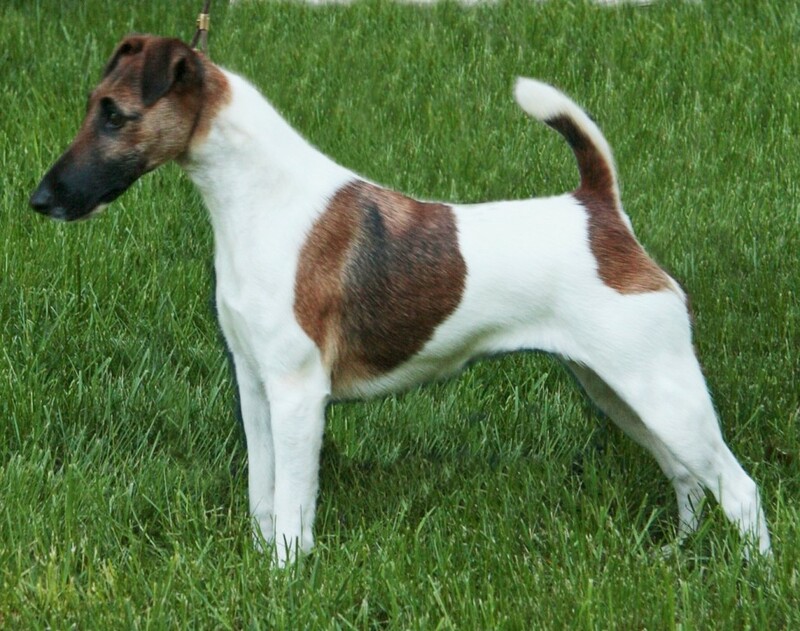 At this point, they were simply known as Fox Terriers. 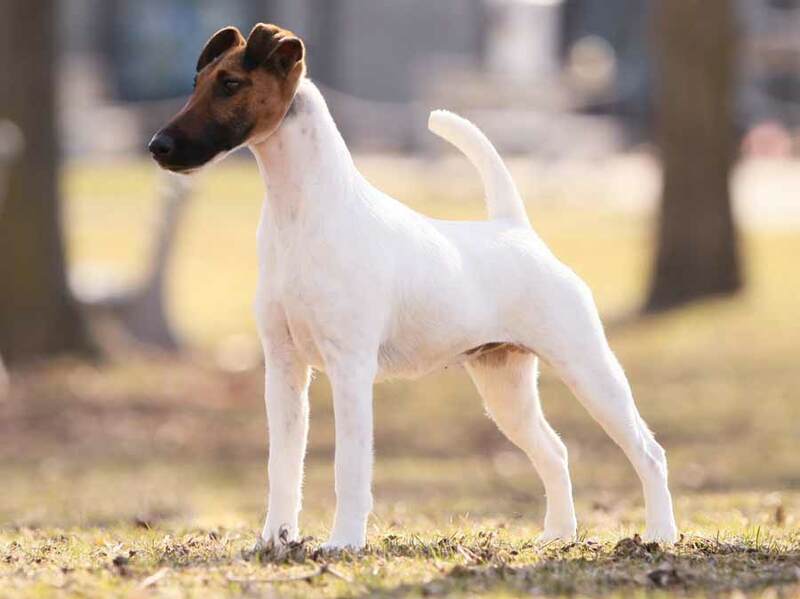 80 years later, three dogs became the founders of the Smooth Fox Terrier and other dogs founded the Wire Fox Terrier line. Both of these lines became very popular between 1900 and 1920. 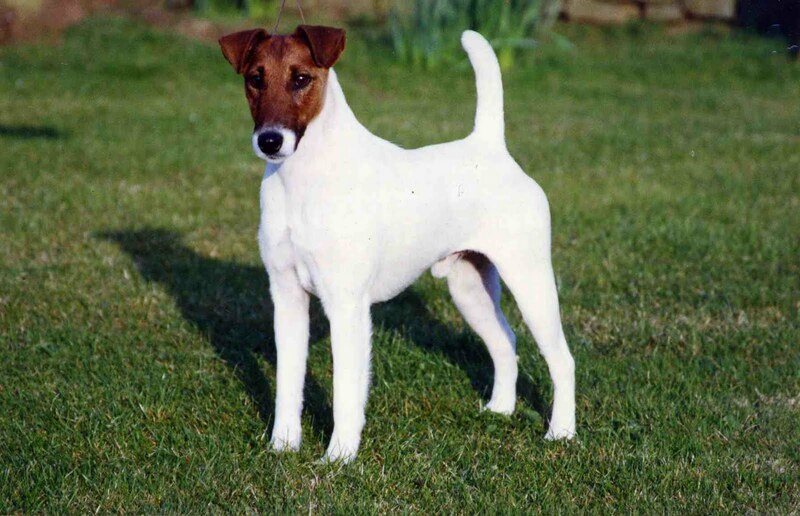 Perhaps the most famous dog in the world (other than Snoopy) is Nipper, the mascot of RCA who is pictured listening to the phonograph, and who is a Smooth Fox Terrier. 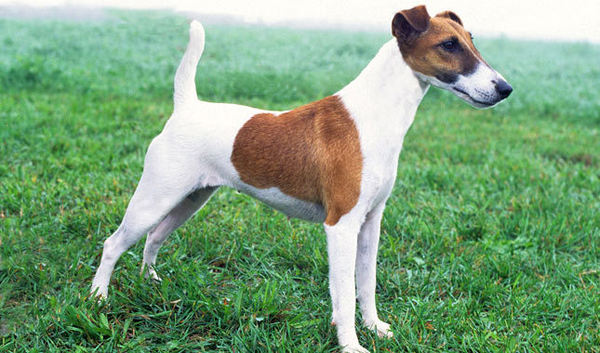 After the 1920s, other Terrier dogs intruded and became more fashionable to dog fanciers. 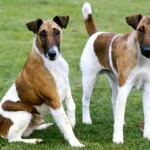 They are considered to be extremely healthy, and only occasionally subject to some genetic defects resulting in deafness; luxating patellas; eye conditions such as lens luxation, cataracts and distichiasis (a problem involving the eyelash); and skeletal problems such as Legge-Perthes disease and shoulder dislocations. 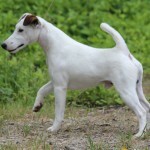 They are characterized as being affectionate, playful, active, alert, intelligent and fearless. They should have up to an hour of vigorous exercise each day. Without it, they can be destructive and/or bark even more than they usually do. It can be a challenge to train them. They are intelligent, independent and will want verification that you are worthy of training them. Training should be done early, frequently and consistently. 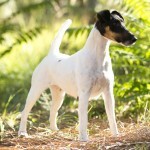 As with most Terriers, giving them praise, attention and food will help motivate them. Once they have mastered the basics, then they should be trained further so that they are always being challenged and active and to keep them from becoming distracted (from engaging in counter-productive behaviors). 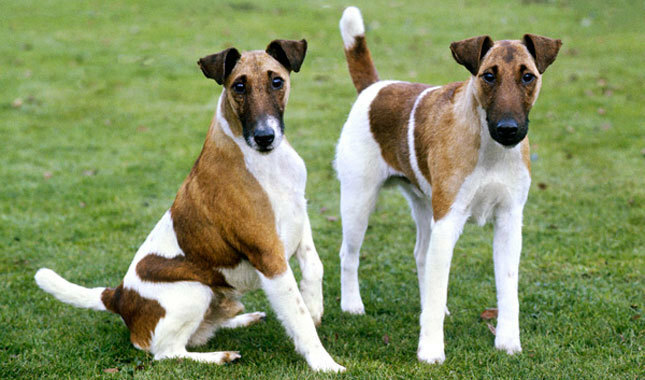 These dogs are very aggressive toward other dogs, even more aggressive toward cats, and may view a pet rabbit as being lunch. They bark very loudly and frequently and even with training, it can be difficult to train them not to bark. While in the yard, fences may not prove to be effective as these dogs can jump surprisingly high, as well as being expert diggers who can burrow underneath a fence. 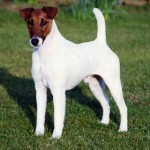 Both the Smooth and the Wire Fox Terriers have small triangular ears which fold down, dark and quizzical eyes, long muzzles and short and sturdy legs. 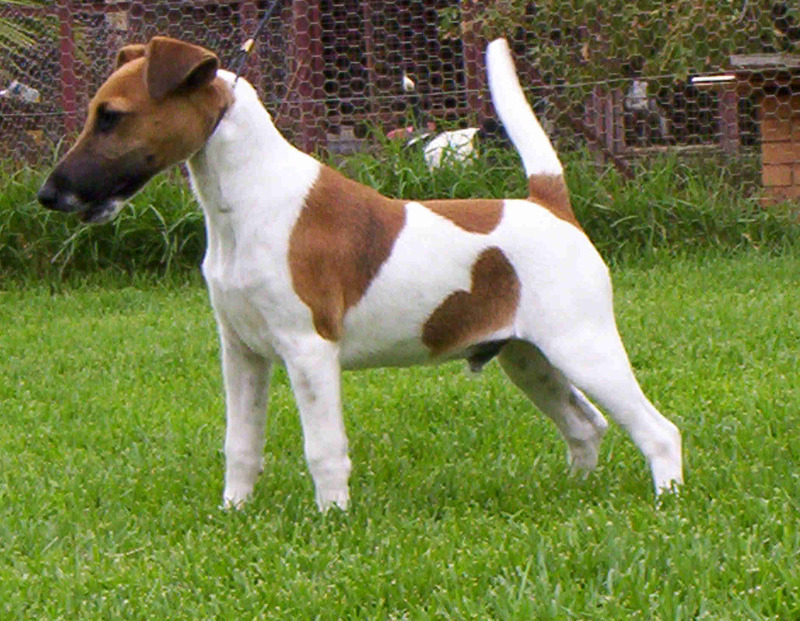 The tails are often longer than the rest of the body. 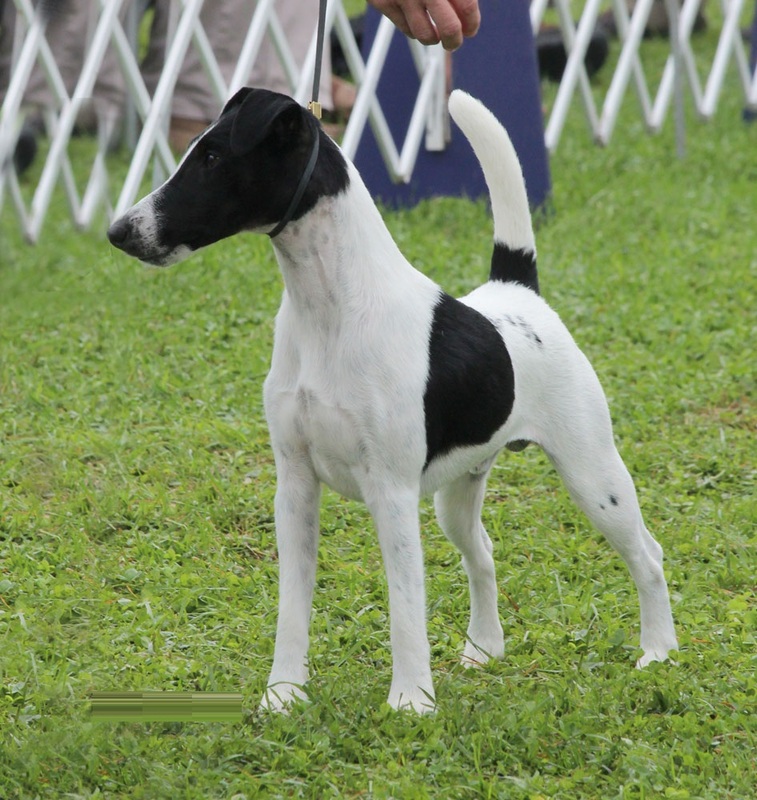 Most dogs are 14 to 15 inches (35.6 to 38.1 cm) in height, although very many males are 1 inch (2.5 cm) taller and very many females are 1 inch shorter. 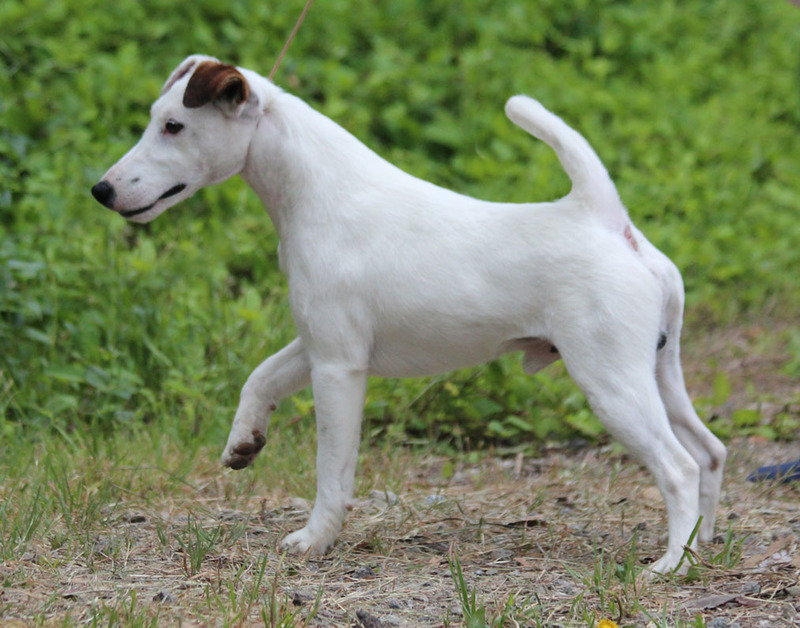 Most dogs are 14.33 to 18.74 lbs (6.5 to 8.5 kg) in weight although very many males are 1.1 lbs (0.5 kg) heavier and very many females are 1.1 lbs lighter. 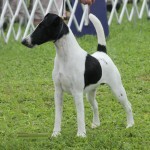 White and black dogs are those that are acceptable for shows and competitions. 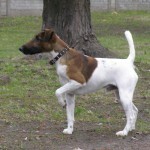 The breed also comes in the colors of brindle, red or liver. 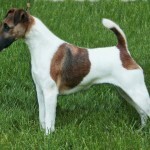 Smooth Fox Terriers need to be brushed with a firm bristle brush only occasionally, and to be bathed only when necessary. 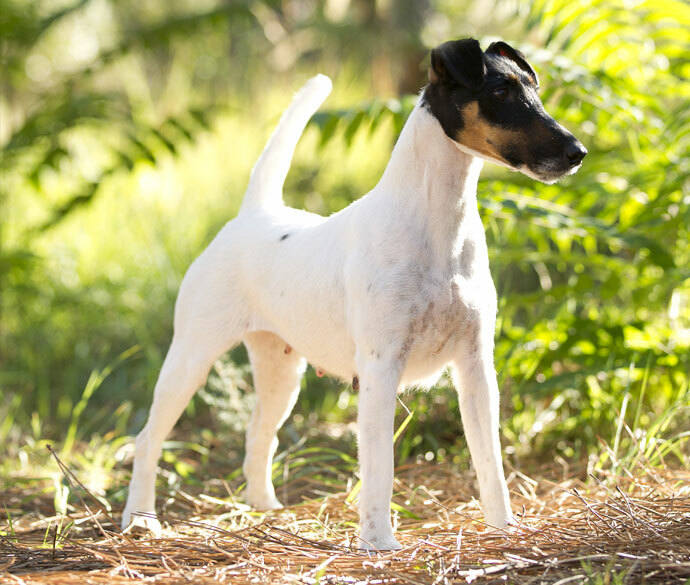 Unlike their brethren, the Wire Fox Terriers, they do not need to be hand stripped, which often requires a professional groomer. 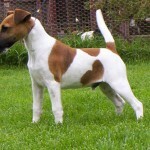 They belong to the Small dog breeds and have similar characteristics, although the length of their tails is note-worthy. 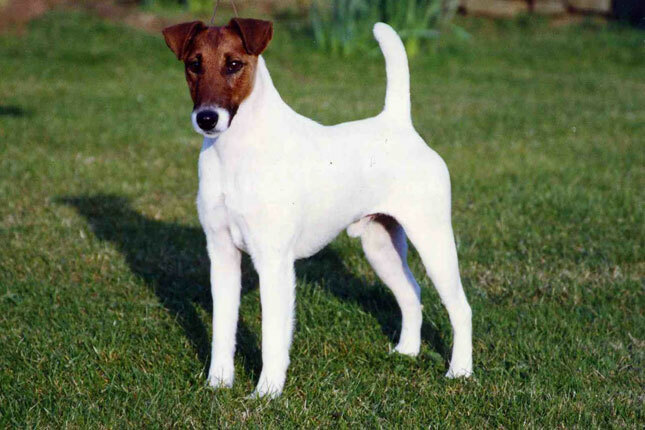 Smooth Fox Terriers are very friendly toward children who are 8 years old and older. They are not at all friendly toward cats. They are quite aggressive toward other dogs. It is recommended that they be the only pet in the house. They are reluctant to be trained. Being a watchdog is one of the things at which they excel. They are average in grooming needs. They are relatively rare, and no longer as popular as they once were. 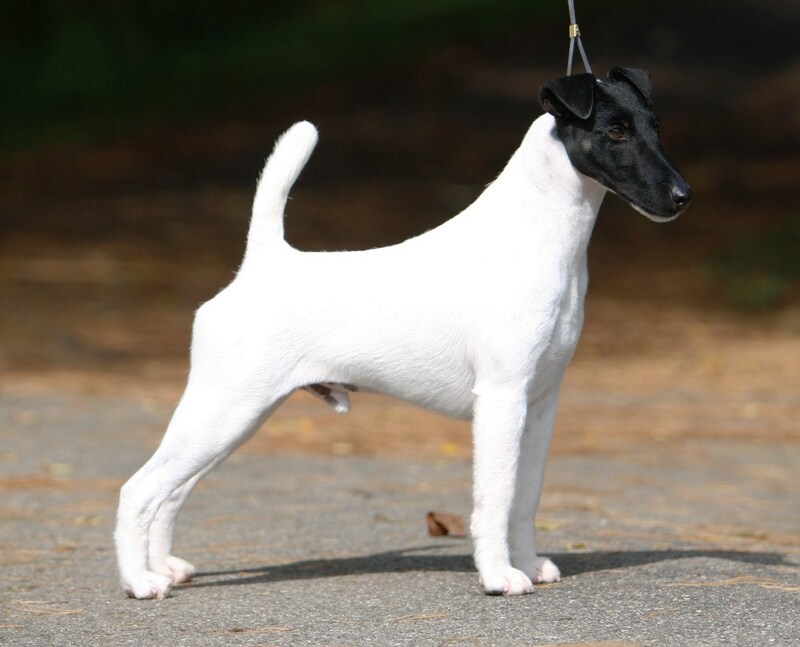 Perhaps the most important things to keep in mind about Fox terriers are that they are difficult to housetrain; bark frequently and with a high pitch; chase after every other animal, and thus must be kept on a leash; and can very easily become overweight. They are rare and are not found in many homes as pets. They tend to be often at shows, however. 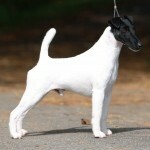 Fox Terriers (both Smooth and Wire) are extremely popular there and frequently win the Best in Show award. They are small and adaptable so can be thought of as being good for those in apartments. However, what they really need is a lot of activity in an extremely secure area that is fenced in with very high walls (so that they cannot jump or it) and planted very deeply (so that they cannot dig underneath it). Smooth Fox Terriers are small, but they are very active so they need the nutrition required to maintain that. The recommended daily amount is 1.5 to 2 cups of high-quality dog food, divided into two distinct meals. They are predominantly white and black. They sleep for an average amount of time. 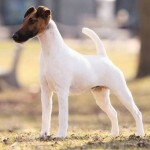 They are descended from the Tan Terrier, and are cousins to the Wire Fox Terrier.